Karnak Temple's Great Hypostyle Hall, the symbolic place of the birth of life. Vivant Denon on encountering the ruins of Karnak Temple in 1803, as part of Napoleon's invasion of Egypt. In a way, Monsieur Denon was right: Karnak Temple sat on the threshold of heaven and earth; a physical place to house and care for the god's sacred statue, and a dream realm where the gods ruled and creation was renewed each morning. Egyptian temples were not simply houses for the cult images of the gods, they also reflected the world at the moment it was created. The sun's life-giving rays poured through the temple each morning, recreating that first day when Amun-Re started on his work of creation, and delegated his rule over Egypt to the king. Each day, temple priests, acting on behalf of the king, performed sacred rituals that washed, anointed, adored, dressed and nourished the gods, who in return blessed the king with their divine favour. Thus, each and every day, the eternal kingship was renewed, the gods were revived and refreshed, and the divine act of creation was renewed. In their mind, the priests and the king saved the world every day. Pictured is part of the Great Hypostyle Hall at Karnak Temple, constructed between the second and third pylons (monumental gateways). The hall was filled with 134 gigantic stone columns. This potent symbol of new life was begun by the 19th Dynasty's King Seti I, (c 1280 BC) and completed by his son, Ramesses II. The huge columns represent the primeval papyrus swamp that grew around the shoreline of the mound of first creation; the first land to rise above the primeval ocean at the dawn of time. By carving their names upon the sacred stones, the kings tapped magically into the regenerative power of the temple. Want to know more about ancient Egypt? 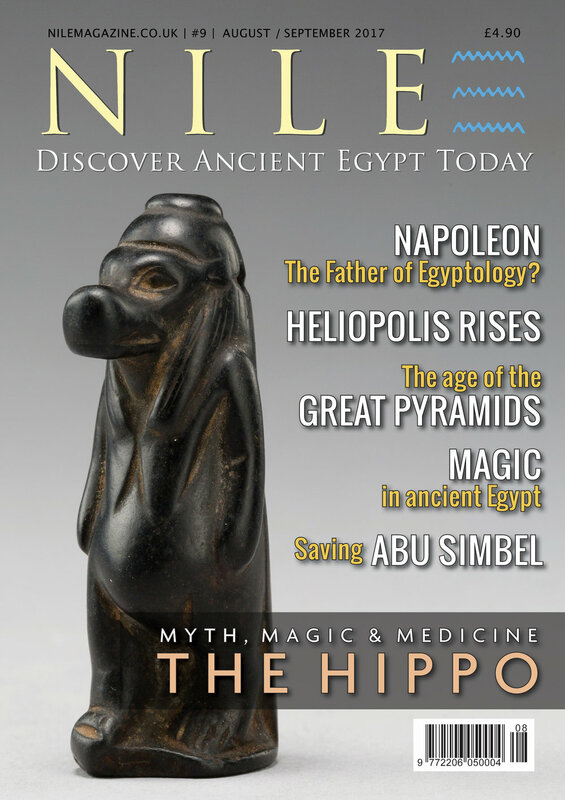 Subscribe and get Nile Magazine delivered straight to your inbox.